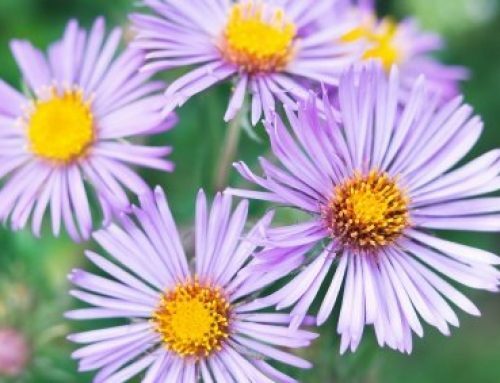 Michaelmas Daisy (Aster) are perennial flowers that grow from late summer and into fall. While they have the name daisy in them, they are not from the daisy family. They belong to the aster family. There are actually three different species that are all grouped together under the one name. Whatever species you grow, they grow easily and with little care. You can plant them in any type of soil. Just be sure you plant them in the sun and give them plenty of water. Here are the three different species and some characteristics of each. Aster X frikartii grows fragrant flowers in a pretty lavender/blue color. They can grow up to 3 feet tall and bloom from summer months until the first frost. A novi-belgii begins to grow towards the end of summer and into the fall. The flower grows from 1 to 4 feet tall and can grow in colors of purple, pink and white. A novae-angliae also blooms in the end of summer. It blooms in colors like pink and purple and grows to be about 3-5 feet tall. Since this is a perennial it will grow back each year. To promote decent growth just dig up the crowns every few years and cut off the dying outside parts and replant.